With spring firmly in sight, it’s time to start thinking about spring decor for your home! Hi! I’m finally back from my trip to Ireland and excited to get back to work. Did you catch all the shenanigans from the other side of the pond on my Instagram stories? I had a blast at my cousin’s wedding, the boys got to spend some quality time with their grandparents, Auntie & Uncle AND I got to help my sister with some wedding planning. And BONUS, the weather actually held up for once!! The past two days in New England have broken records temperature-wise (It’s 74 degrees today!!) so I’m really getting spring fever. 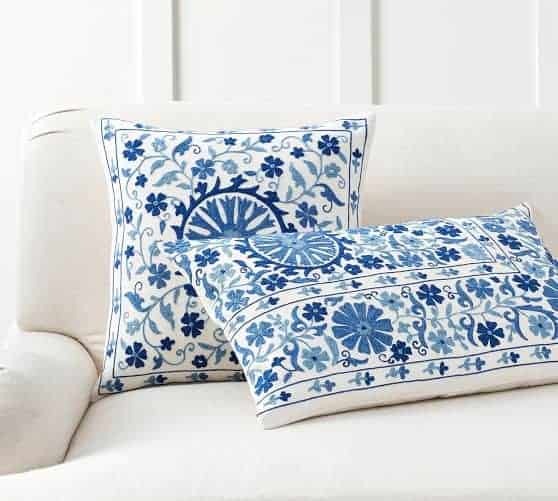 It’s almost March, so I’m thinking it’s time to start brightening up our homes in time for spring! 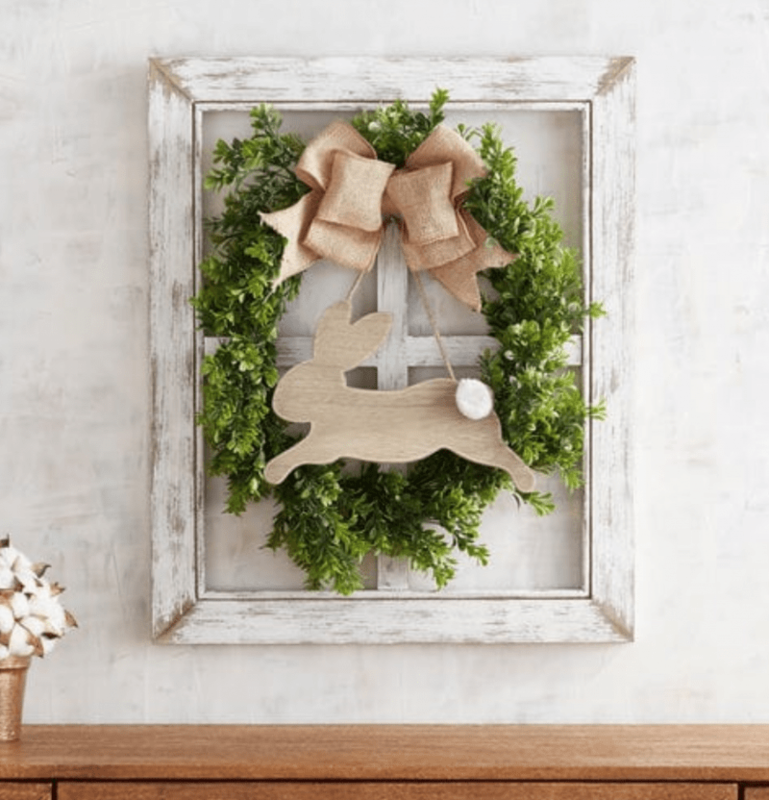 The stores are full of really cute spring and Easter decor items so I thought it might be fun to share some of current wish list items with you all. I literally want everything from Dorotea line. There’s dinner plates, salad plates, bowls, a large serving dish and really pretty mugs. 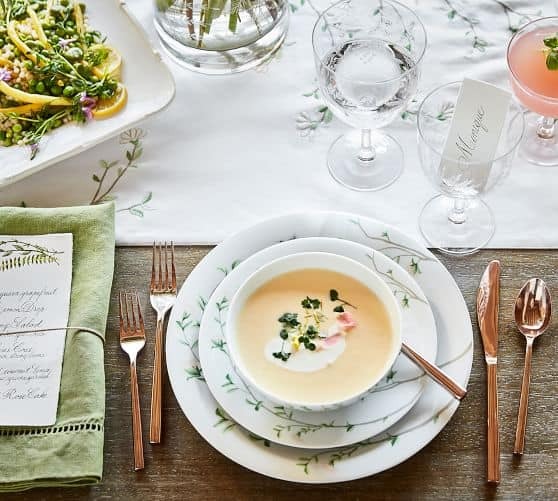 Another one of my favorite dinnerware sets right now is the Monique Lhuillier collection at PB. The pattern is simple and dainty, and will carry out through spring and summer. Next up is this adorable framed bunny. Cute for spring but perfect for Easter! 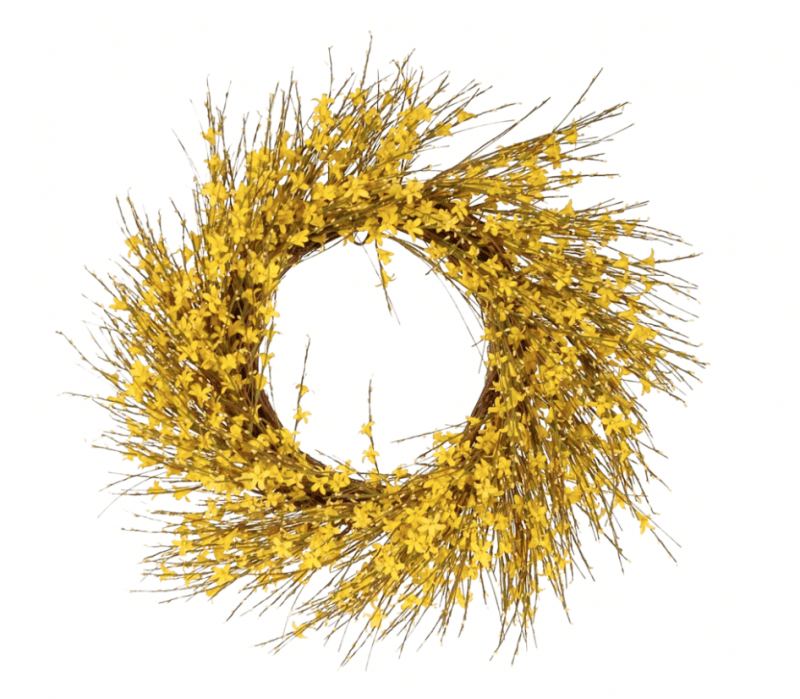 Forsythia wreaths just scream spring right? Once the snow begins to melt, I go a little nuts adding life back into my home. I love adding greenery and wreaths, and this pop of yellow would be fabulous on the inside of my front door! 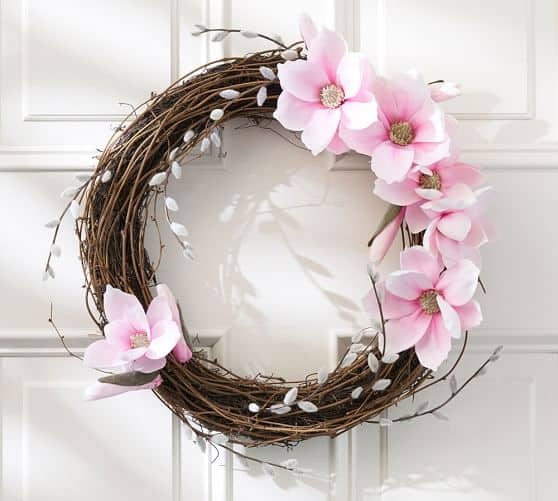 Another really pretty wreath option is the Faux Magnolia and Pussywillow wreath. The pastel pink is perfect for Easter and will work through the end of the summer, too! You already know of my intense love of the color blue. I’ve been dabbling with blush pink since early winter but now that I’m anticipating spring, I want all the blues back in my life. These blue ticking stripe pillows really caught my eye and I might just have to add them to my collection! 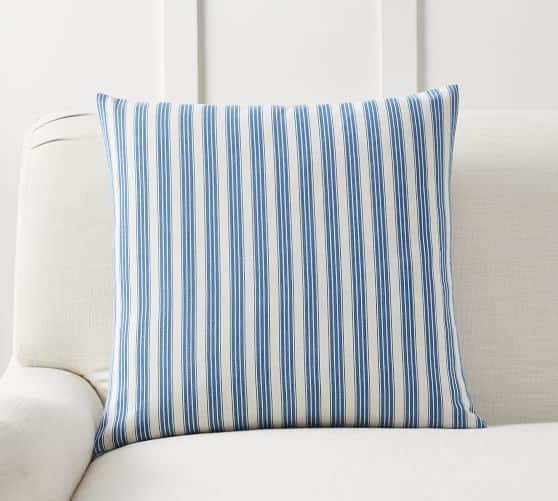 I might even like THIS pillow cover more than the ticking stripe but it only comes in 18 inch. It’s devine, though right?! I hope my favorite spring home decor finds will offer you some inspiration and you go about brightening up your home for the coming months. As always, if you have any questions feel free to drop a comment below and I’ll do my best to get back to you!